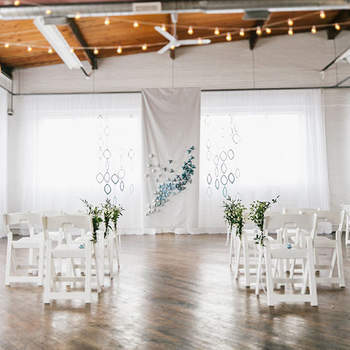 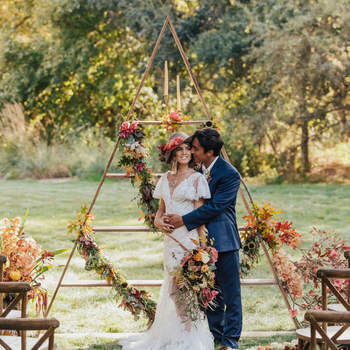 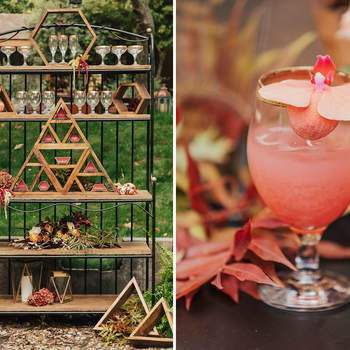 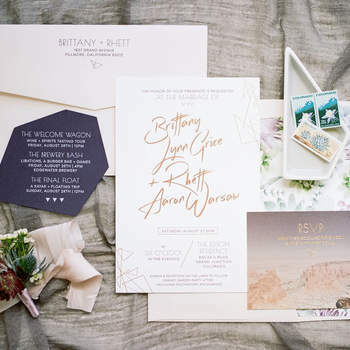 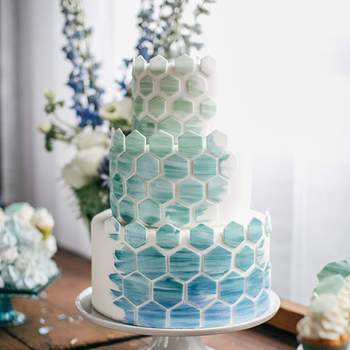 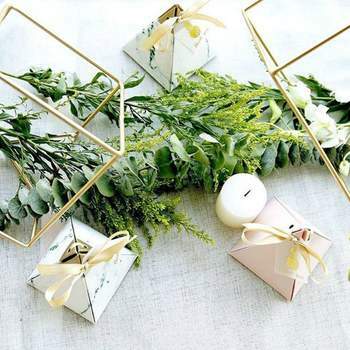 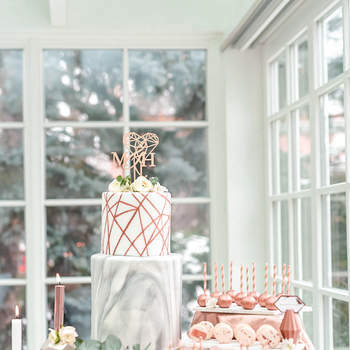 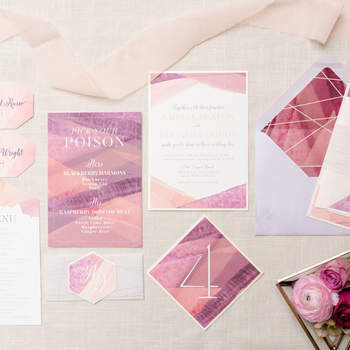 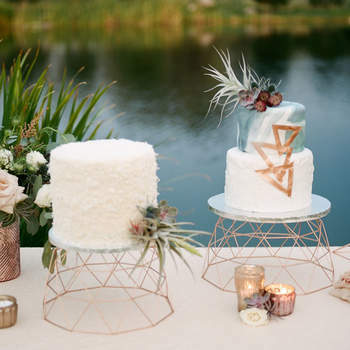 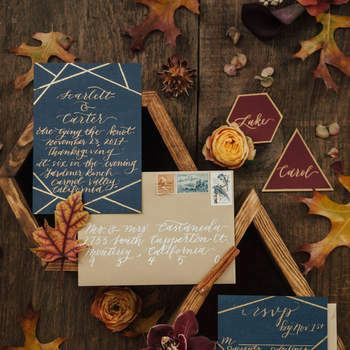 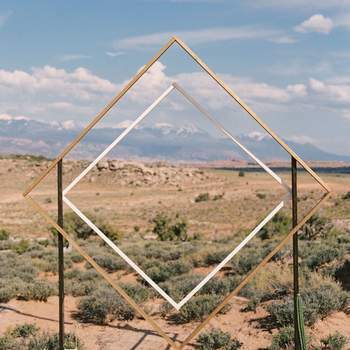 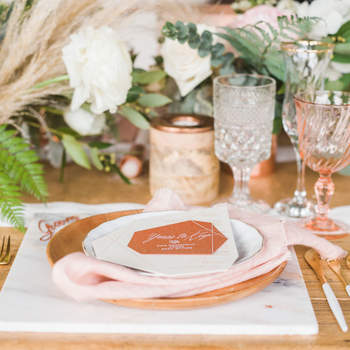 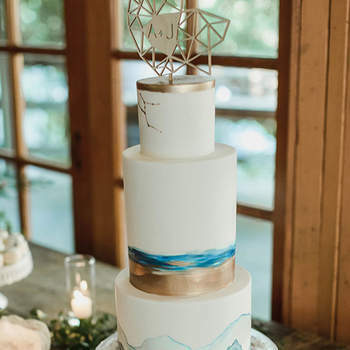 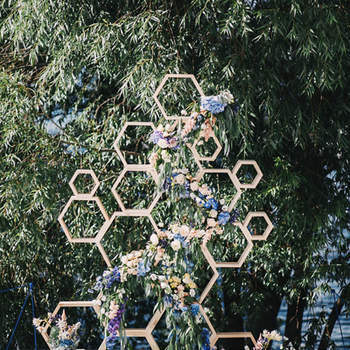 The geometric style is one that receives a lot of attention in graphic design and the fashion industry, but up to this point has been woefully neglected by the wedding world – and we can’t understand why! 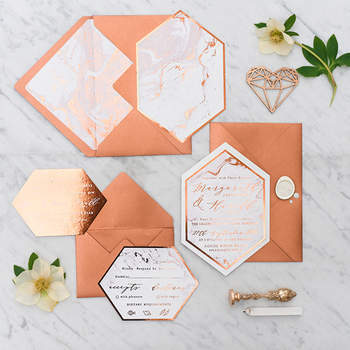 Geometric details not only add a touch of luxury and class, but also fill spaces well with their complex patterns – and so can make a day feel a little more intimate whilst adding a sense of modernism. 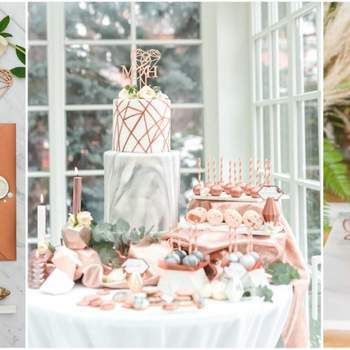 Within this gallery, we show you 40 incredible ideas on how you can implement this style into your big day! 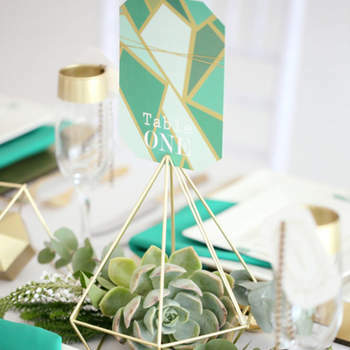 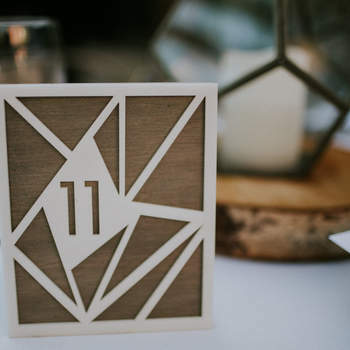 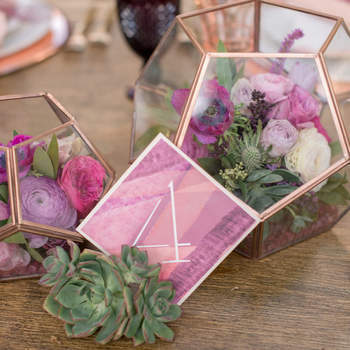 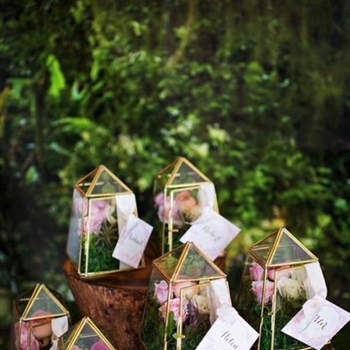 Chairs, tables, the photocall, the wedding invites, the plates, name cards… you name it, geometric details can cover them! 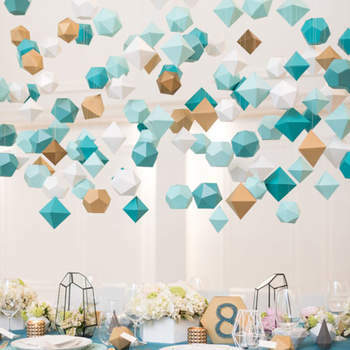 For the boldest of couples, you can try clashing geometric patterns to create a very futuristic effect. 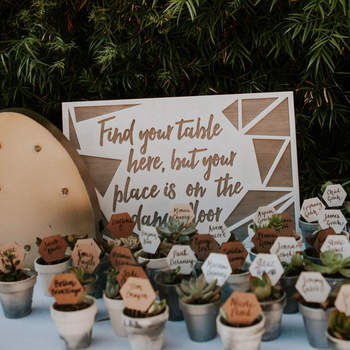 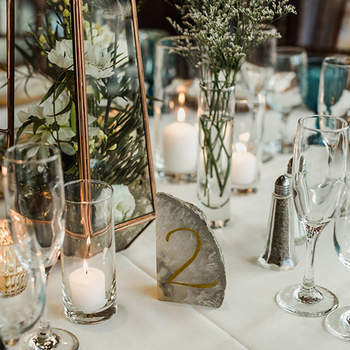 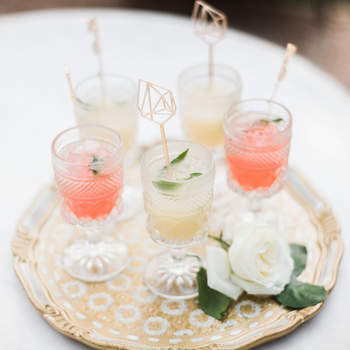 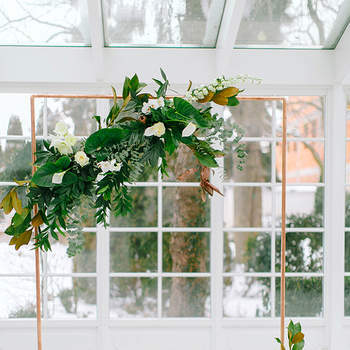 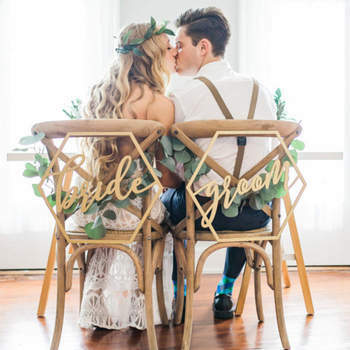 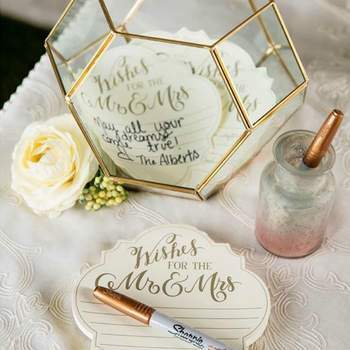 There is no bad place for them to be included – they can even decorate the aisle, the altar, and the bride and groom’s accessories if you’re feeling a little daring. 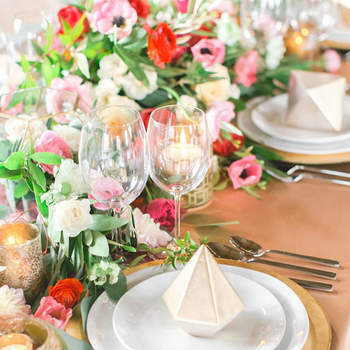 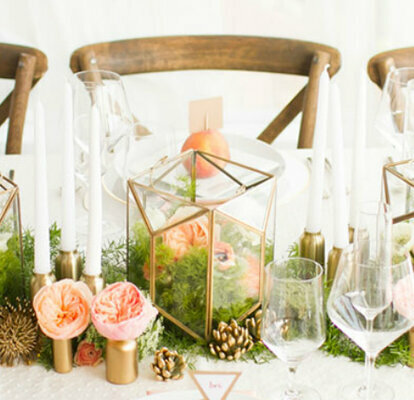 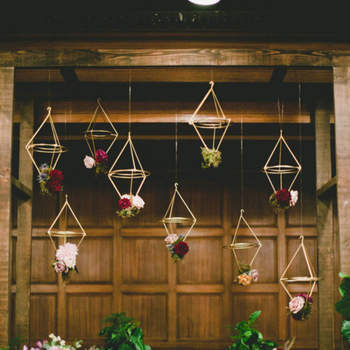 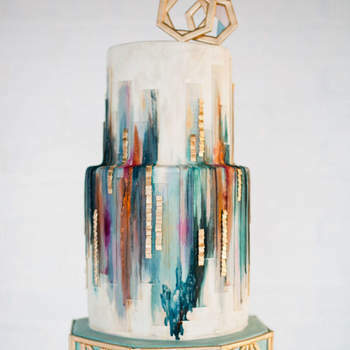 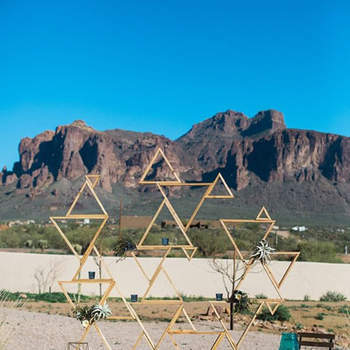 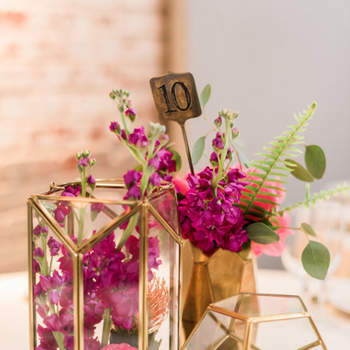 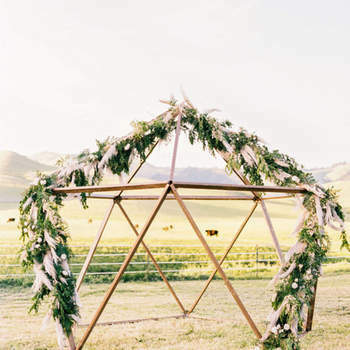 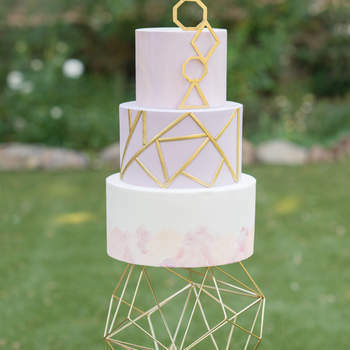 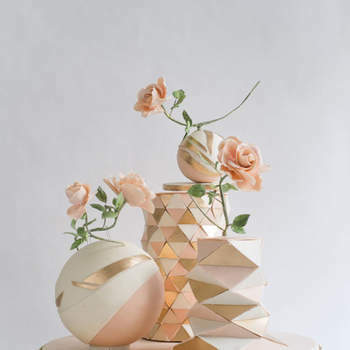 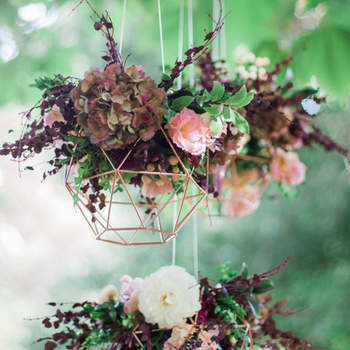 If you want your wedding to stand out from the crowd, then geometric details for decoration is the best place to start. 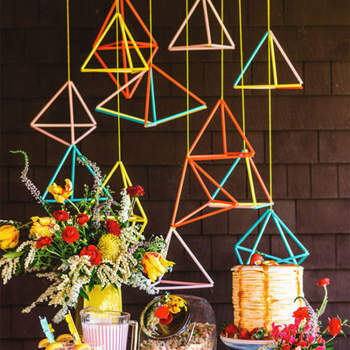 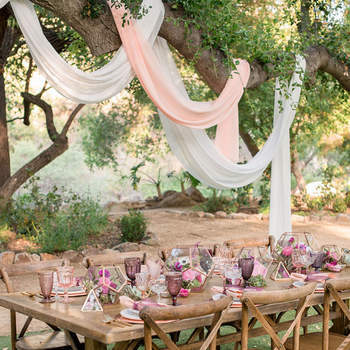 Not only will your decoration be modern and innovative, but also very beautiful! 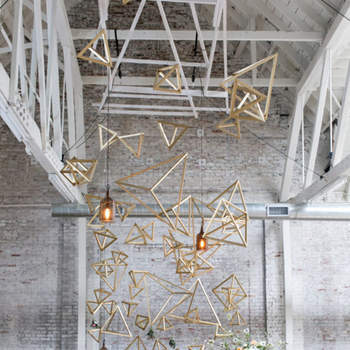 So scroll on through our gallery and check out some of the most inspirational pieces!